Robert Pattinson Replacing Colin Farrell in Cronenberg's "Cosmopolis"
It's tough enough when an actor becomes a victim of his own success, but we now find ourselves in the position of being victims of Colin Farrell's. 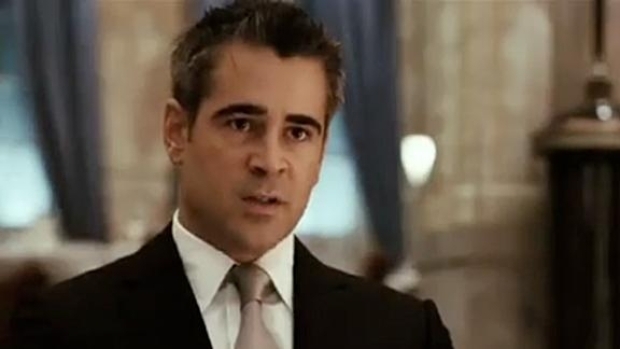 Farrell, who is in the midst nice career renaissance, has recused himself from David Cronenberg's "Cosmopolis," presumably in deference to starring in a remake (reboot? mulligan? do-over?) of "Total Recall." And when you lose an actor of Farrell's caliber, you naturally grab the sparkly-skinned vampire teen heartthrob Robert Pattinson. Right? Pattinson will star in this adaptation of Don DeLillo's novel, playing billionaire Eric Packer, who in the course of 24 hours cheats on his wife, loses his fortune, is attacked by protesters and has lunch with his wife, played by Marion Cotillard--and he accomplishes almost all of this from the comfort of his limo. Oh, and throughout the story he's being stalked by Paul Giamatti. Farrell can currently be seen in select cities in the WW II film "The Way Back," and his British gangster film "London Boulevard" is somewhere in limbo. Giamatti's "Barney's Version" (look for Cronenberg in an amusing cameo as a soap opera director) goes into wider release Jan. 14. And Pattinson can be seen April 14 opposite Reese Witherspooon in "Water for Elephants." "Cosmopolis" starts filming this spring.